When I got home tonight and read my copy of the NUT's "Teacher" magazine, I was saddened to find a glaring omission. I fear that some NUT colleagues will be more than saddened, they will be dismayed. Why? Because The Teacher is the NUT's main publication to communicate with its membership. Yet, in our May/June edition, teachers can read it from cover to cover and not find even the smallest mention of the fact that the NUT is holding its once-every-five-years election of its General Secretary. Contrast our 2014 edition with the equivalent Teacher magazine from ten years ago - the last time there was a contested election. 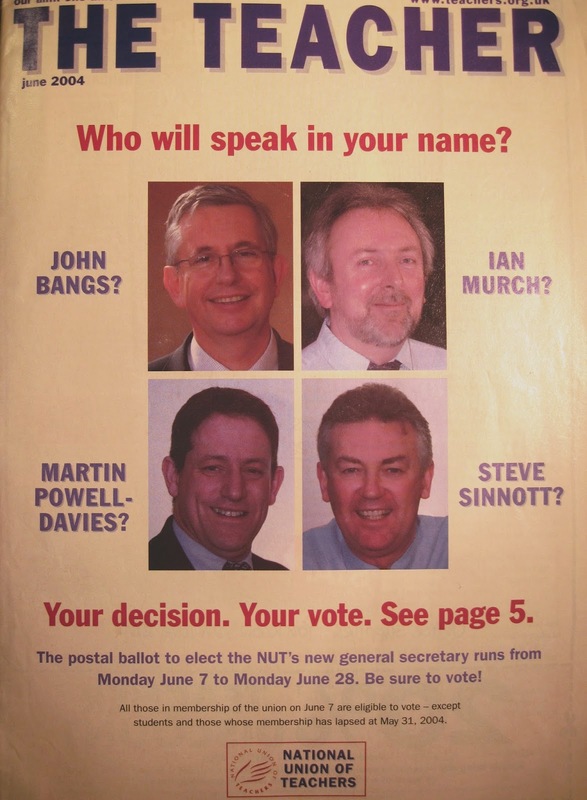 A front page, featuring all four candidates, encouraged members to vote - with further information inside. This publicity followed on from an Annual Conference where a full hour was put aside for a General Secretary Election Hustings. In contrast, this year the GS election hardly got a mention (until Newsnight intervened!). In 2004, I was one of those candidates. 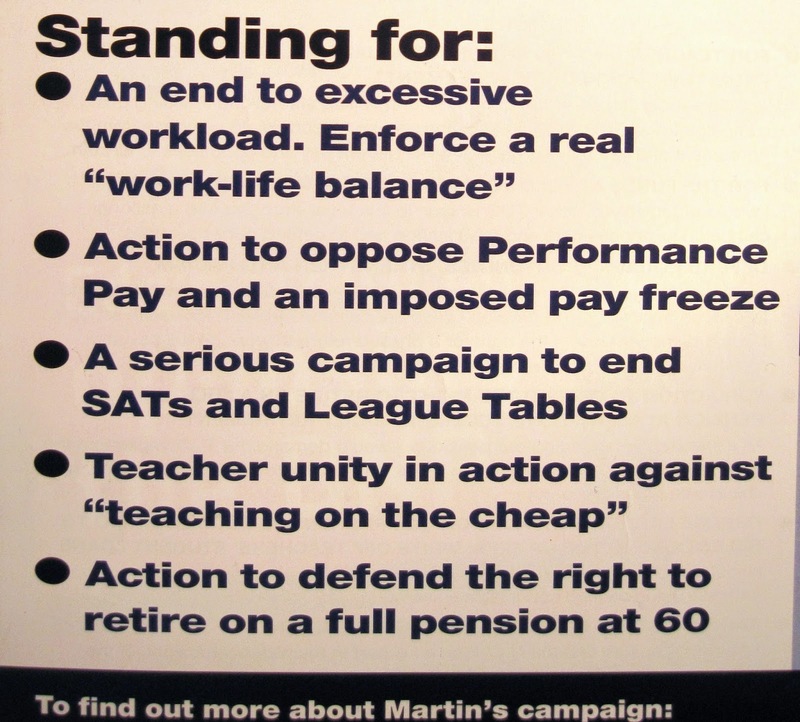 Indeed, looking at my old publicity materials, my demands at that time still seem very relevant today. Clearly, there is a lot that the Union still needs to achieve. A leadership election should be a vital opportunity for classroom teachers to participate in the vital debate about how we can start to achieve those gains needed to defend teachers and education. I will endeavour to make sure that debate takes place - indeed, it is only my stand that is ensuring that we have a contested election at all. I hope that Associations around the country will do the same by publicising this vital election - even if 'The Teacher' won't.